For excellent UV protection while maintaining your view of the outdoors, our Designer Screen Shades are available in varying levels of openness. 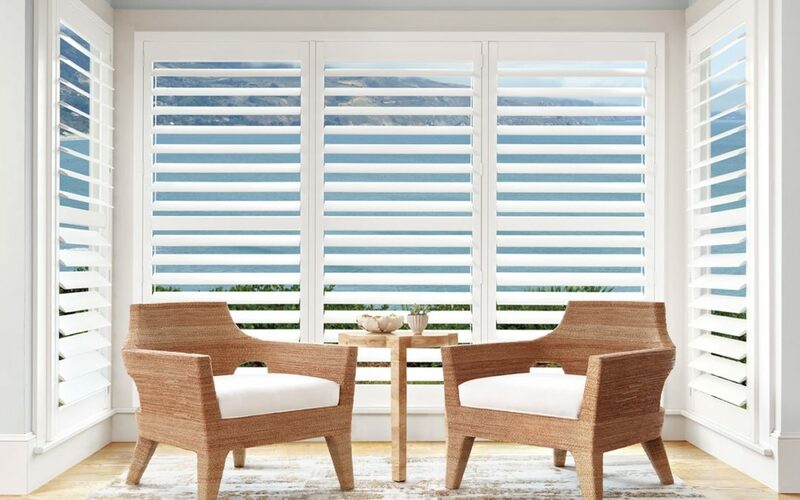 Offering a minimal yet sophisticated look with light control, color and style, they are the perfect shade for any room in the home even your patio or sunroom. 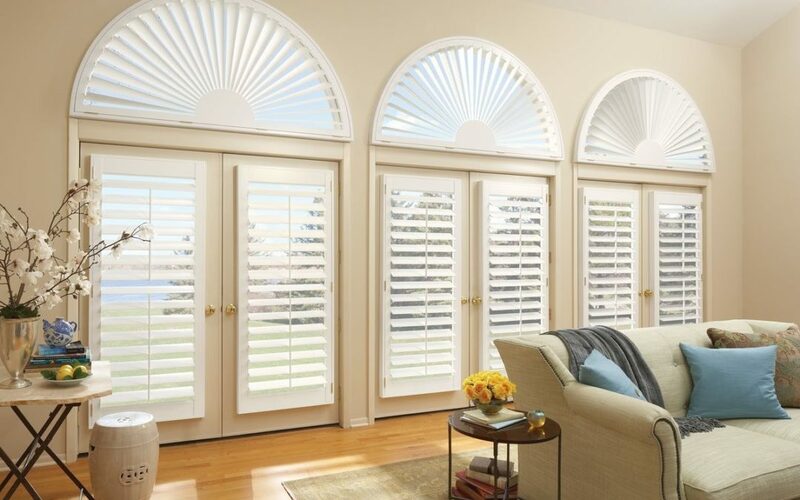 Hunter Douglas Palm Beach™ Polysatin™ shutters are plantation-style shutters constructed with UV resistant Polysatin compound, so they’re guaranteed never to warp, crack, fade, chip, peel or discolor, regardless of extreme heat or moisture. Hunter Douglas Skyline® Gliding Window Panels are a patented twist on panel track blinds. 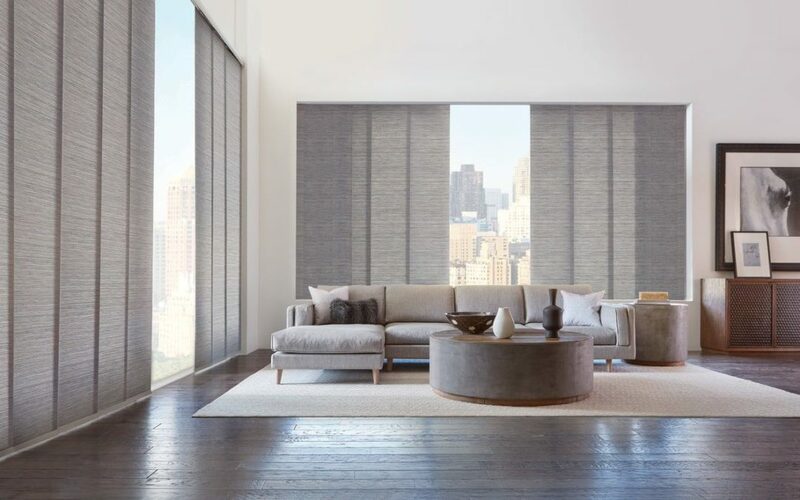 A sleek, contemporary panel design lends modern drama to any décor, whether covering large windows or when used as a unique sliding room divider.